Filling nail tech vacancies is challenging enough, but the real work starts when you find a tech with a great personality ... but no experience. Do you invest in her training or do you expect her to invest her own time in extra practice and classes to get up to speed? It’s a complex question and salon owners opt for different solutions. Some states, including Alabama, Virginia, and Maryland, allow for an apprenticeship program where the salon owner and the new hire submit a certain number of training hours to the state in exchange for a certification. Jill Wilson has been a nail tech for 22 years, a salon owner for 11, and is currently a consultant with Summit Salon Business Center. She says that often these apprenticeship programs turn out to be a situation where techs are used, but not really trained. “They learn by watching, but they receive no formal training as to the why,” explains Wilson. We spoke to owners from four mid-sized salons to learn how training a newbie works for them. The Nest Nail Spa, Lakewood, Colo. Owner Brenna Massa greets customers, sets the tone, and keeps behind-the-scenes systems running smoothly with her staff of 11 nail technicians. Her spa offers clients a limited service menu of manicures and pedicures, letting clients choose traditional polish, gel-polish, or long-lasting polish. Each new hire runs through a general training about salon policies, how to greet customers, the flow of the customer experience, and where products are located. For technical training, Massa relies on her two managers. New hires show their work, performing all the services in front of — or on — the managers. This gives the trainers an idea of what skills the techs need to measure up to salon standards. With feedback, the new hire is expected to put in the time working on the areas of need. The Nest offers techs two organic ways to earn their spot behind the desk: shadowing experienced nail techs and working on friends and family after hours. A nail tech with no experience is not a barrier at The Nest. “We hire based on personality. Skills can be taught, but personality is what creates the experience for our clients,” Massa explains. Massa lets techs who are in the internship process perform housekeeping and front-end tasks, working as support staff to experienced techs. This way they can learn the trade and play an important role in the salon. 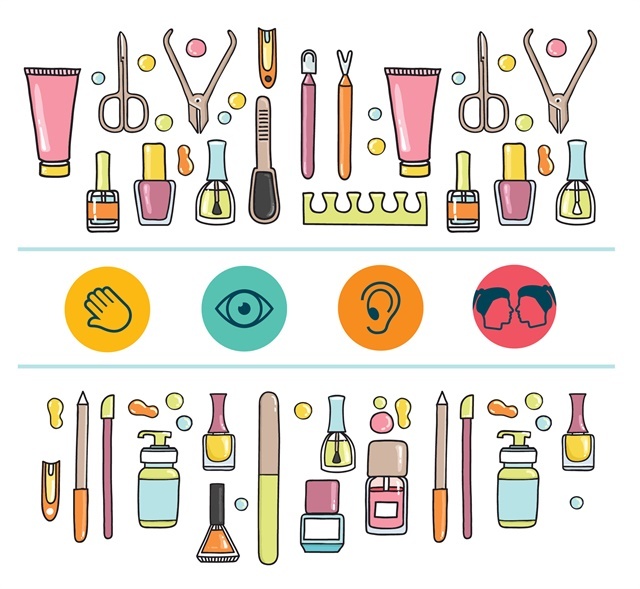 When the intern gains confidence, she is able to approach one of the managers to request an opportunity to show her work and move into a nail technician position. Massa estimates the process generally takes two weeks to a month. Tutu Bentley-owned Salons, St. Petersburg, Fla.
Tutu Bentley has trained over 50 nail technicians as the owner of three nail salons in St. Petersburg, Fla.: PURE Natural Nail Lounge, Royal Palms Natural Nail Spa, and New Image Nail Spa, with 20, 17, and 10 techs respectively. She has found something universally true of every new hire: Everyone needs help when they first graduate. Salon owners can’t expect someone who is just out of school to do it right. With that attitude, Bentley hires staff with a long-term goal in mind, and makes the first few weeks on the floor a safe training ground for her new hires. “The first thing I do when I hire an inexperienced tech is have her give me a manicure. It’s almost a sure thing that someone right out of school is going to need help learning how to polish. So that’s where we start,” she says. Bentley says inexperienced techs can shadow skilled staff and also ask for a mentor to give feedback on services performed on family and friends. 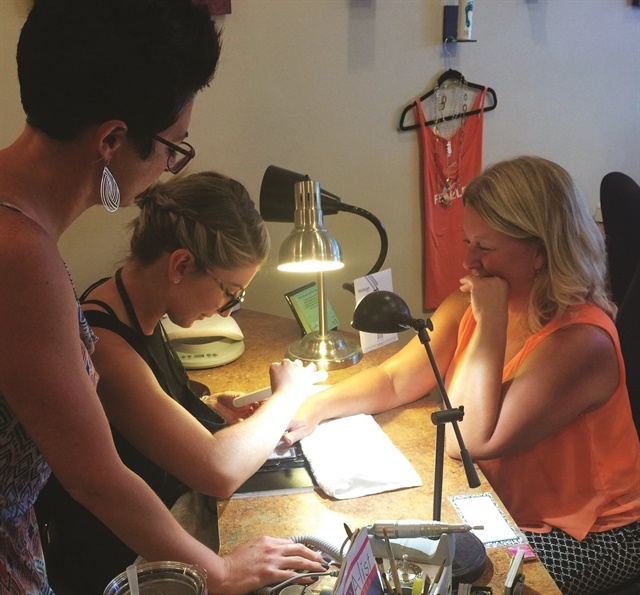 “We also teach our nail techs how we want them to greet the clients and how to receive payments for services so they feel they are part of the team as they are learning,” she says. Her advice to salon owners who are new at training staff is simple: Remember nobody is perfect, and we can all use help. “Don’t be afraid to invest in your staff. You not only show that you value that new hire, but you also improve your salon as a whole when you take the time to develop your staff into better nail techs,” says Bentley. All that Glitters, Palm Harbor, Fla.
“With all the advances we’ve made in the industry, we still miss out in the area of apprenticeship and mentoring,” says Heather Goodwin, coach with Inspiring Champions and owner of All that Glitters in Palm Harbor, Fla. Goodwin trains her new techs through a methodical process that offers opportunity in an environment that encourages mastery over speed. Goodwin’s philosophy is to build confidence in the techs by helping them master the basics. It’s not always easy, she admits. “Often, we’re working with millennials. They’ve been told they’re exceptional since birth, so sometimes they have difficulty hearing there are areas where they can improve.” Goodwin says everyone needs to feel a sense of accomplishment — whether it’s the young, new grad who thinks she’s mastered the trade through certification or it’s the middle-aged woman with a mid-life career change. For this reason, she starts new hires learning skills that are foundational, but relatively easy to master — polishing nails, for example. “Honestly, when someone first graduates from school, it’s likely they still need help with polishing. It’s a good place to start. They learn it fast, and they can feel like an expert,” says Goodwin. Goodwin describes All that Glitters as a “teaching hospital.” She allows a new hire to sit next to her one-on-one for as long as it takes for both of them to feel confident in the tech’s ability. For the first five weeks of the training program, new hires acclimate to the salon. They learn the flow, how to greet customers, and how to use the front-end software so they are able to book, reschedule, add additional services, and ring up retail. The next eight weeks is spent on manicures and pedicures. The new tech is expected to bring in family and friends to practice on while a trainer provides one-on-one instruction. During the first few sessions, she has the trainer’s undivided attention. Eventually, the trainer will handle her own clients while working alongside the newbie, stopping intermittently to check her work. Finally, the new tech is able to work on her own with the trainer checking in only at the beginning and at the end of the service. The final nine weeks of the program are focused on artificial nails. “By the time a new hire completes the training, she will have worked on over 90 models,” says Wilson.